Once upon a time there was a land far, far away where people used to believe in Photo. It was a land where a picture was worth a thousand words. From time to time, a bad photo editor used to tamper with Photo for politicians, generals, and celebrities. Then the age of digital came along and the Image Editing Software was available to all of the inhabitants. First, there was only One Big Bad Software, but soon a lot of smaller Apps came along. These were not only available on computers but also on any camera and smartphone that could easily modify, and often for free, all the Photos in the land. It was around that time, that people lost faith in the truth spoken by Photo. Often Photo was no longer reliable. Call it tampered, counterfeit, fake, forged – she was not telling the true story anymore. And when she was telling the true story, people would not believe Photo anyway. And so, when judges, courts, prosecutors and attorneys needed to use Photo for a case, it was very hard to believe her. Was she true? Was she false? Some lands wandered in chaos, while others were still in dreamland and didn’t recognize the chaos that was approaching. Only some brave solitary soldiers were able, with risks and perils, to inspect Photo for her truth. Some were relying on very fragile weapons like EXIF metadata and JPEG quantization tables that a skilled attacker could spoof rather easily. Others were using very powerful and mysterious sorceries, studied in universities spread across the different lands. There were very good wizards, but they were the only ones who could manage the magic techniques that they studied. It was on a gloomy day, that the light shone again for the truth. It was the day when Authenticate was found. This powerful weapon made the secret sorceries available to all the citizens of all the lands. Inhabitants from all over mastered Authenticate in a matter of days and were finally able to tell the good from the bad, the real from the fake. 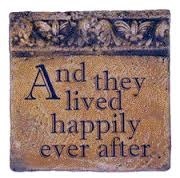 And in the end they lived happily ever after. And finally, the super-boring version, copied by our official press release. 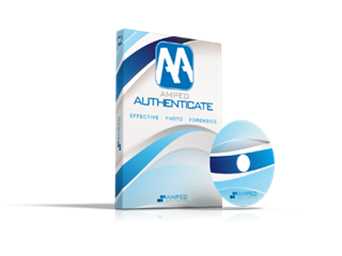 Amped Authenticate software provides a suite of powerful tools to determine whether an image is an unaltered original, an original generated by a specific device, or the result of manipulation with photo editing software. TRIESTE, Italy, and LAS VEGAS, NV, USA, 27 November 2013 — Amped Software today announced the launch of its newest software solution, Amped Authenticate. This new product is the only image authentication software on the market that offers a complete suite of powerful tools to determine whether an image is an unaltered original, an original generated by a specific device, or the result of manipulation with a photo editing software. Today there is an increasing need for trustworthy digital multimedia data to support forensic and security investigations. With the advent of cellphone cameras and the prominence of video surveillance, often the “witness” to a crime is a machine. New technologies have also made it easy to edit or modify the content of a digital image without leaving any visual trace of tampering. The potential for an image to be manipulated often makes it difficult to evaluate the authenticity of a digital photo so it can be accepted as valid evidence in court. Until now, only a few world-recognized experts were able to determine if an image used as evidence in the courtroom was actually an original or if someone tampered with it. Experts previously had to do this with self-made tools and very specialized scientific techniques, often with difficulty repeating and explaining results. Current products and processes are focused on one or relatively few scientific tools, or reliant on a limited database to match images with likely devices with little real scientific value as a definitive result. Furthermore, a skilled image forger can trick these database products to re-create an image in the format expected by the system. Amped Authenticate puts the power of multiple tests, procedures, and reporting in one package to improve the user’s ability to detect tampered images or assess originality. Amped Authenticate’s key features include; image ballistics tools to verify the camera used to shoot the image, batch tools for multiple image analysis, and tools to discover tampered areas of a photo. Amped Software products are already being used by top forensic labs in over 30 countries and have supported many cases worldwide. Amped Software is well known as an innovator, and Amped Authenticate follows this path of innovation. 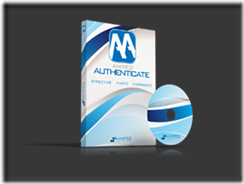 Amped Authenticate is now available directly from Amped Software (www.ampedsoftware.com) and authorized Amped Software resellers and partners. This entry was posted in Announcements, Authenticate, Events on November 27, 2013 by Martino Jerian.